British holidaymakers have breathed a sigh of relief as unions called off three strikes set for airports in January. 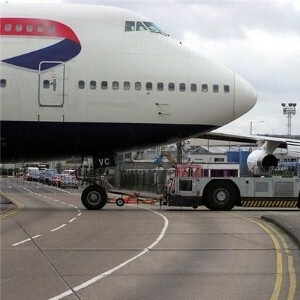 Many of the UK's busiest airports were set to be crippled as part of the strike action, after operator BAA struggled with workers over pension rights. Union officials voted to stop strike action after BAA eased its plans to alter the pension rights of workers, meaning Heathrow, Gatwick, Stansted and Edinburgh will all be unaffected. According to the Guardian, Brendan Gold, Unite's national aviation officer, said yesterday: "This is good news for our members, for BAA and for air travellers. It is a total vindication of the action taken by our members in voting to defend their pension scheme. "Our members didn't want to strike, but had been left with no option because of the attack on their pension scheme." And now the threat of strikes has been lifted, travellers have been urged to double check their travel insurance before heading overseas on holiday to cover them should anything else go wrong.